Heard any good news lately? 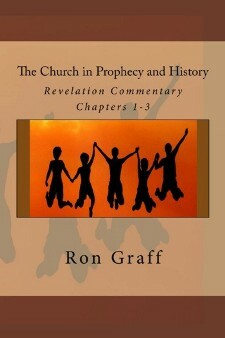 Prophecy comprises about one-third of the Bible, and believe it or not, most of it is good news! The prophecies of the first coming of Messiah were certainly good news. And the massive amount of Bible teaching about the Millennial age and beyond, is unquestionably positive! 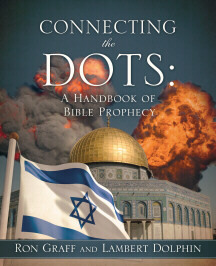 But admittedly, much of "end-time prophecy" is depressing. We should remember that Jesus called this phase of the future "labor pains." Just as the birth of a baby is preceded by difficult and painful labor, the birth of the Millennium, and after that, the glorious New Heaven and Earth, is preceded by the Tribulation. Nick Vujicic, the 32-year-old president of motivational speech marketer Attitude is Altitude, was born without arms or legs. Though he struggles with some practicalities of everyday living ... he has become an in-demand inspirational speaker. Dec. 18, 2015 - A new survey from the American Bible Society and the Barna Group reveals that 75% of Protestant American teenagers (13 to 17) have their own Bibles and read them weekly. Some 37 percent read their Bible several times a week. Oct. 24, 2015 - Evangelist Greg Laurie says that prophecy seems like bad news, but it can have a good effect. Then it was every few weeks. Now it seems that every day we hear about something in the news taking place in other regions of the world and even in our nation. On the other hand, there is a promise of blessing for reading the Book of Revelation. “Blessed is the one who reads aloud the words of this prophecy, and blessed are those who hear it and take to heart what is written in it, because the time is near” (1:3 NIV). Laurie thinks the same principle applies to all Bible prophecy. Aug. 28, 2015 - Filmmaker Alex Kendrix explains the reason for the surprising interest in Sony Films' latest movie, War Room." The movie opened at the top of the charts this week-end. August 28-30 2015 - Celebrating 25 years of mass evangelism at Angel Stadium and other venues, Pastor/Evangelist Greg Laurie says that the means of spreading the Word have changed with emerging technologies, but the basic needs of people have not changed. The Gospel answers vital questions like, what happens after we die, how we can be happy, and to find meaning and purpose in this life. All three nights of the upcoming 2015 SoCal Harvest will be broadcast online at harvest.org; will air on KFSH-FM, KKLA-FM, and on God TV; and through a dedicated channel for Roku streaming players. Aug. 22, 2015 - In spite of the fact that there are so many problems in the world, evangelist Greg Laurie encourages Christians with the fact that God has given us a "homing instinct" that will lead true believers in Jesus to heaven. Our hope is not in politicians. Our hope is not in government. Our hope is not in man-made solutions. Our hope is in God. He is the only one that keeps us going. And there is a better world coming. “We are here for only a moment, visitors and strangers in the land as our ancestors were before us. Our days on earth are like a passing shadow, gone so soon without a trace” (1 Chronicles 29:15 NLT). Aug. 13, 2015 - A new CNN poll shows Donald Trump is still the leader in the Iowa race for the GOP presidential candidate. Somewhat more surprising, though, is that retired neurosurgeon Ben Carson has surged into second place, edging out long-time Iowa frontrunner Wisconsin Gov. Scott Walker. May 31, 2015 - Child Evangelism Fellowship (CEF) is the largest mission agency in the world serving children. They were able to share the Gospel with nearly 20 miliion children last year, and 6.7 million of them professed faith in Jesus! CEF reached nearly 28 percent more children with the Gospel last year than in 2013, when 15.6 million kids heard the Word through their ministries. And its goals for upcoming years are no less ambitious. CEF is active in 192 countries, and have the goal of daily, ongoing, personal ministries to children in every nation on earth by 2017. Crowds cheered Thursday as an 18-year-old male was pulled, dazed and dusty, from the wreckage of a seven-story Kathmandu building that collapsed around him five days ago when an enormous earthquake shook Nepal. The young man was injured, but in good condition considering the fact that he had been trapped between floors of the collapsed building, and had not been rescued for five days. An American disaster response team had helped the Nepalese rescuers in their effort. Mar. 3, 2015 - "A.D. – The Bible Continues" will premiere on Easter Sunday. The series is a follow-up to Mark Burnett and Roma Downey's very popular "The Bible." It focuses on the reaction of witnesses to the death and resurrection of Jesus the Christ. The series' initial episode is dramatic and while it takes some liberties with the characters' representations and thoughts, the Bible is closely adhered to. Mar. 13, 2015 - A movement called "Revive Indiana" has produced amazing results according to Anne Reed, writer for AFA Journal. People from various denominations are involved. Reed spent a few days in Indiana and says for nearly two months people had been meeting together for breakfast, prayer and worship. Then they would hit the streets sharing the Good News in homes, factories and schools. "The members of . . . traditional families enjoy better physical health, less mental illness, higher incomes and steadier employment. . . They and their children live in better housing, enjoy more loving and cooperative relationships and report less physical or sexual violence." Jan. 26, 2015 - Instead of joining presidential hopefuls at the Iowa Freedom Summit, Louisiana Gov. Bobby Jindal led thousands of Christians at an ll-day prayer rally at Louisiana State University’s basketball arena. sponsored by the American Family Association (AFA). Deemphasizing politics during the six-hour event known as The Response, Jindal focused on Americans’ faith in God, prayer and return to the biblical values — upon which the United States was founded — as the solution to the nation’s woes. Jan. 25, 2014 - On Saturday retired neurosurgeon Dr. Ben Carson appeared with several other presidential candidates at the "Freedom Summit" in Iowa. On Sunday he participated in the major "If My People" conference at Houston's Second Baptist Church where he called for an effort to "restore the soul of America." This represents a 2 percent increase from the previous Congress and is noticeably higher that the American population average of 71%. Only one person in Congress (0.2 percent) is not affiliated with any religion, while the national average for unaffiliated is 20 percent. Unfortunately, most of the headlines here at Prophecy Central are negative. That is inevitable since our purpose is to track the progress toward God's ultimate plans for the earth. Those plans are clearly revealed in Bible prophecies that certainly appear to be coming to pass right before our eyes. The wonderful reality about God's revealed plans is that Jesus Christ is coming back to earth to establish His Kingdom. He will rule in righteousness over an indescribably fabulous age. The problem is that before He returns as King of Kings, the Earth must go through a dreadful period of disasters known as "The Tribulation" (Matthew 24:9-28). And Jesus, who taught us about these coming trials, said there would even be big problems in the generation leading up to the Tribulation. He called this period of time, "The beginning of sorrows [birth pains]" (Matthew 24:4-8). This could very well be a reference to our own troubled times. Looking for the good in whatever is happening is not just positive thinking or self-help religion. We can recognize what is bad in this sinful world, but by faith, we should remember that God is good, and He is in control. This is the Thanksgiving season. It would be a great time for each of us to see every personal or world-wide problem in the light of this command to look for the truth and goodness that can result from everything that happens. Copyright © 2009-2016 by Ron Graff. All rights reserved.